When Mark Shuttleworth announced Ubuntu in 2004, he was extremely passionate about it. Shuttleworth saw the possibility of a third operating system in the consumer space, and many things worked in his favor. Ubuntu managed to create one of the friendliest and most vibrant open source communities. The success of Ubuntu on the desktop made Shuttleworth even more ambitious about the mobile space, and he thought he could crack the duopoly of iOS and Android with Ubuntu Mobile. He saw a growing trend of smart TVs, and he even felt Ubuntu could offer a platform to TV vendors. In 2011, Canonical decided Gnome 3 didn't fit into the grand scheme of Ubuntu. The Ubuntu project dropped Gnome Shell (it still used the desktop stack, just not the shell) and created its own shell called Unity that was aligned with Canonical's plans for mobile, tablets, and TVs. At the 2012 Mobile World Congress, Canonical had one of the biggest stalls, where they showcased their technologies. None of those plans worked out. Canonical seemed to forget that people don't use platforms; they use applications. In 2017, Shuttleworth realized it was time to give up. He stopped investing in consumer-centric products. Projects were shut down; people were let go. The Canonical we knew had changed, for good. In an interview, Shuttleworth told us that, going forward, Canonical was going to focus on three key areas: servers, cloud, and Internet of Things (IoT); consumer was not their playground. However, desktop was still a critical piece for Canonical. According to the latest Stack overflow survey, the Linux desktop remains the most loved platform by developers (32.9%). It was the second most commonly used platform after Windows (41%). If you go to any developer conference, Ubuntu is often the only Linux distribution you will see on stage for presentations. Even Microsoft uses Ubuntu at its own events. Linux now accounts for more than 50 percent on Azure cloud, and many of those Linux instance are running Ubuntu. Ubuntu desktop shares the same codebase with Ubuntu server and other products. Canonical is going to invest in that codebase either way, which means Ubuntu desktop can have a life of its own even if the company now has other priorities. When Canonical pulled the plug on Unity, it decided to go back to Gnome as the default desktop environment and embrace the Gnome 3 Shell. The Gnome project thus regains the users of one of the largest desktop Linux projects. 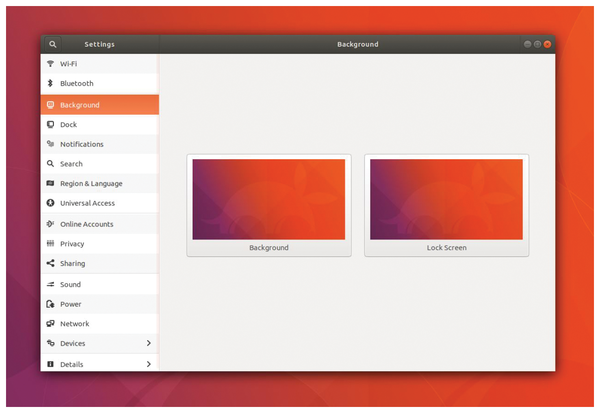 Canonical gets a fully tested and polished desktop for its users, and users get the super-stable base of Ubuntu. Developers can target integration with one of the major desktop environments without worrying about Unity breaking things. Ubuntu 17.10 shows that Canonical has not abandoned the Ubuntu desktop. 17.10 is not a Frankenstein's monster where pieces are loosely glued together. Canonical has indeed invested resources in integrating the Gnome 3 Shell with Ubuntu to offer a great out-of-the-box experience. The features you see in this release will be polished and improved for the Ubuntu 18.04 LTS release in April 2018. Ubuntu engineers made a lot of tweaks to Gnome (on a cosmetic level, without heavily patching or forking anything), so a user upgrading from Ubuntu 17.04 or 16.04 is in for a shock. 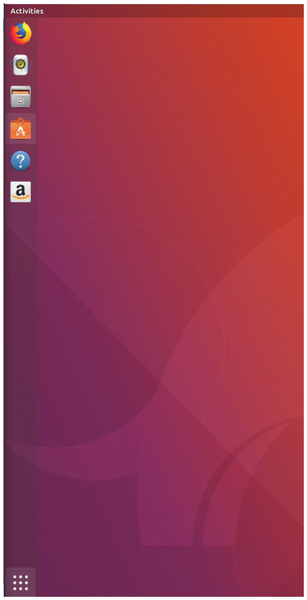 One of the first things you'll notice when you boot Ubuntu 17.10 is the Start dash launcher has moved from the top in 17.04 (Figure 1) to the bottom in 17.10 (Figure 2). Personally, I do not like the new location. A better design would be to keep all buttons close to each other so users can easily access the launcher and apps. In 17.04, you can open the launcher to open new apps or places and pin most used apps next to it; in 17.10, the launcher has moved to the bottom, far from the apps. It's quite a journey on my 27-inch 4K monitor where I have to go all the way to the bottom and then come back up. 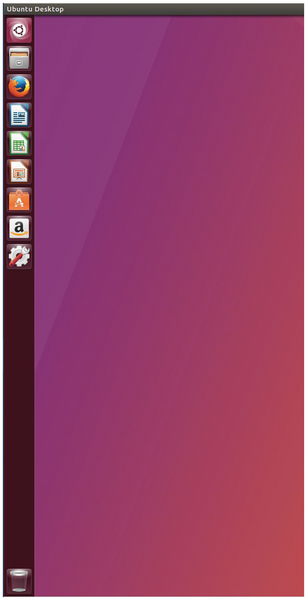 Figure 1: Ubuntu 17.04 placed the Start button in the top left corner of the screen. Figure 2: In Ubuntu 17.10, the Start button moves to the bottom, farther from the apps. The second minor but significant change is moving windows buttons from the Mac OS-like left side of the windows to the right side. Unity's menubar behaves differently from Gnome's menubar (Figure 3). Muscle memory testing, auto-hiding menu items are gone and have been replaced with Gnome's over-simplified menus (I still prefer full menu items). Figure 3: Migration to Gnome brings changes to the Ubuntu menubar. The top bar retains some of the same components – network, sound, power, and a drop-down menu, in addition to date and calendar in the center. Notification behavior has also changed. The older pop-up balloon, which could not be clicked, has been replaced with a fully functional notification system of Gnome. 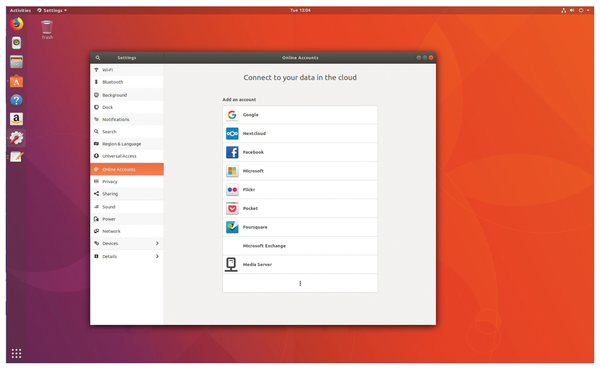 To ensure better integration with Unity, Ubuntu had either forked or retained older packages from Gnome, like the Nautilus file manager, which has been replaced with the brand new Files file manager. Unfortunately, with the forked version of Nautilus, I couldn't batch rename files in Ubuntu because the older version of Nautilus didn't support it. Now, I can batch-rename all 100 photos that I took at OpenStack Summit. Gnome also brings pseudo-integration with Google Drive to Ubuntu (Figure 4); you can easily configure the Online Accounts feature that remotely mounts Google drive to Ubuntu. Figure 4: Ubuntu users and enjoy "soft" integration with Google Drive. Ubuntu forked Gnome Control Center; now it's back to the brand-new Gnome Center (Figure 5) that has a radically different user interface (UI), which cuts down the number of clicks. It's still growing on me. That's going to be the case with most Ubuntu users. Some people will love these changes, and some won't. The good news is that instead of Unity, which was forcing a mobile UI onto the desktop, Gnome is very much a desktop interface. Figure 5: Ubuntu 17.10 gets the redesigned Gnome Center. Everything is great about Gnome, except for one tiny difference. On my systems, Ubuntu was chewing more RAM with Gnome; almost 10-15 percent more. This additional resource usage might be a concern if you plan to run Ubuntu 17.10 on older hardware. I tested Ubuntu 17.10 on three different machines: Dell Precision 5720 AIO, Dell XPS Developer Edition, and a custom PC running Intel i7-4700K, 32GB memory, and a GTX 1070 Ti card. Ubuntu installed without any hitch on these machines. The installation process was smooth. As expected, everything worked out of the box on all three machines. Ubuntu even detected and added my Brother HL-L2340 G Series printer that was connected to the wireless network. While Ubuntu was installing, I received a pop-up notification about "a new printer detected." When I checked Gnome Settings, the printer was automagically added, and I was able to start printing. Even on Windows 10 and Mac OS, I have to manually detect and add the printer. So,we can safely say that desktop Linux, especially consumer distros like Ubuntu, have come a long way. It's not automatic. Ubuntu 17.10 has driverless printing with IPP Everywhere, Apple AirPrint, Mopria, and Wi-Fi Direct. If you travel and have tried to join WiFi networks at airports and hotels, you might have struggled logging in. Ubuntu 17.10 has made it easier to get connected by adding support for captive portals. Those who still listen to music on their laptops, you can now easily switch between built-in audio devices and Bluetooth. Everything looked good, except for one visible problem: the touch screen. Touch input behaved as a mouse; when I scrolled my finger on a page, instead of scrolling the page up and down, as expected on a touchscreen, it selected the text. Dell offers its own variant of Ubuntu and RHEL that comes with additional packages to support a multi-touch screen. That's one problem I face with every desktop Linux distro out there; there is no out-of-the-box multi-touch support baked in. The Linux desktop community is working on solving the app distribution problem and fragmentation with solutions like AppImage, Flatpack, and Snaps. It's becoming clear that Flatpack will get wider support, as compared to Snap, which is seen as a Canonical solution. Will there be a standoff between Snap and Flatpack like the previous row surrounding systemd vs. Upstart? Possibly, especially considering that even Ubuntu derivatives like Linux Mint are backing Flatpack. The big difference between Snap and Flatpack is that Snap is specifically targeting Cloud and the IoT space and therefore is trying to solve a different problem from Flatpack. Canonical might continue to develop Snap for those use cases. This release comes with improved support for Snap. The most interesting Snap feature in this release is the catkin Snapcraft plugin that enables Robot Operating System (ROS) snaps for secure, easily updated robots and drones. There are many new mediated secure interfaces available to snap developers, including the ability to use Amazon Greengrass and Password Manager. Ubuntu 17.10 comes with Linux kernel 4.13, which comes with support for new hardware and peripherals from ARM, IBM, Dell, Intel, and others. Wayland is the default display server; Mir is nowhere to be seen in the Ubuntu orbit. But Wayland is new, and performance issues with some of the latest GPUs might give you a hard time. I resorted to not using my $550 GTX 1070 Ti drivers and settled down with integrated graphics. In addition to hardware support, Wayland may also give you trouble with things like screen recording. Ubuntu is offering X.Org as a backup, in case something fails on you. That said, the good news is you won't even notice that you are using Wayland; except for some corner cases, everything else worked fine. Ubuntu completes the cycle of life and goes back to letter A and Gnome. Ubuntu restarts the alphabet on the Ubuntu 17.10 release, with one small step for Wayland and one giant leap backward from the controversial Unity desktop. "Unity is a shell for Gnome. Now Gnome leadership have to decide if they want the fruit or that competition to be an asset to Gnome, or not." ~Mark Shuttleworth founder of Ubuntu.